Working in partnership with property owners, preservationists, city and county government, local businesses and merchants in our historic retail district, Historic Downtown Gallatin, Inc. (formerly Greater Gallatin, Inc.), has helped create one of the nation’s best Main Streets. We’ve earned recognition as an authentic, eclectic place that offers something for everyone in an atmosphere that reminds locals and visitors alike of a simpler time in our history – a place where community matters. Historic Downtown Gallatin, Inc. is a non-profit, tax exempt organization governed by a board of directors. 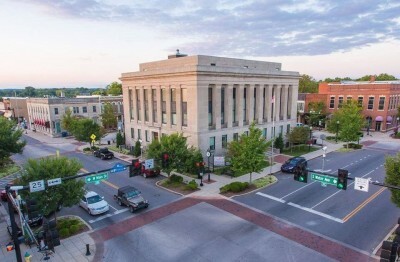 Historic Downtown Gallatin, Inc. was created to establish a partnership between public and private sectors dedicated to the promotion, preservation, and revitilization of the downtown business district. by promoting, communicating, advertising, bringing in new business, encouraging repeat business, and by being a conduit through which merchants can work together to make the public aware of what downtown has to offer. by creating pride in their city, an entertainment center for their community, a revitalized image of the heart of their downtown, and a shopping destination. by enhancing community livability and, in turn, attracting economic development and making the city an attractive place for employees to live and work. by marketing the community as a very special place in which to live and work, thus increasing property values and creating a demand for both residential and commercial properties. by protecting their extensive downtown investments, both in their own physical plants and in loans to downtown businesses. The healthier the financial condition of a community’s merchants, the healthier the financial institutions which support them. Downtown is an area that needs to be protected for investment reasons: private and government. Architectural heritage cannot be duplicated. The rehabilitation of downtown is an incentive for attracting community-wide investment. Downtown is a symbol of civic pride. Since the inception of Historic Downtown Gallatin, Inc. in 1983, our downtown area has prospered from having over $10,000,000 invested in restoration projects and real estate changing hands. In 2009 the City of Gallatin and Historic Downtown Gallatin joined forces to implement a 2.1 million dollar streetscape project. Brick crosswalks, landscape island, new benches and trash receptacles were all installed making Gallatin a leader in downtown improvements and aesthetically second to none. Historic Downtown Gallatin hosts a number of events that bring thousands of people to the downtown area. Square Fest, held the last Saturday in April and the Main St. Festival, held the first Saturday in October are arts and crafts events that bring craftsmen, entertainers and food vendors from throughout the middle Tennessee area to Gallatin. State Farm's 3rd Thursday on Main is a free concert series beginning in May and ending in October. This event has grown annually and has become one of the most family friendly events in the area. The public is invited to come downtown, eat dinner outside while enjoying top notch entertainers. To stimulate quality growth of downtown Gallatin in the areas of Design, Promotion, and Economic Development. We of Historic Downtown Gallatin, Inc vow to unify and work together to protect the historical heritage of downtown Gallatin by preserving the buildings and by promoting the historic downtown as a center of commerce, ensuring the financial success of the downtown businesses. The Tennessee Main Street® program serves as a statewide resource for communities seeking to revitalize and manage their traditional downtowns. It was established by legislature to assist these communities with their economic development and revitalization efforts. Although TMS serves as a general information source in this capacity, hands-on technical services (including training and research) are typically delivered to local programs that have achieved designation through a structured application process and maintain designation annually by meeting program requirements and submitting an annual report. TMS designated communities have a non-profit organization specifically focused on downtown revitalization and are effectively applying the National Main Street Center’s comprehensive Four-Point Approach®. Local organizations meeting the Tennessee Main Street® program requirements are awarded designation at the state level. There is also an opportunity to receive accreditation from the National Main Street Center based upon their Standards of Performance for Recognition. All Tennessee Main Street® designated programs are expected to meet these standards annually. However, designation by the Tennessee Main Street® Program does not guarantee accreditation by the National Main Street Center. If TMS determines that the standards have been met, it will make a recommendation to the national program. If for any reason they cannot be met, TMS will continue to work with the local program to achieve this goal for a specified period of time.